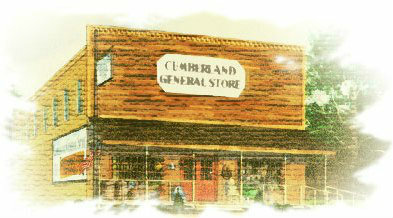 Cumberland General Store was established in 1974 in Homesteads, Tennessee near the town of Crossville. Homesteads was one of several communities formed during the Great Depression as a way to give folks a way to live a better life through hard work, determination, and a helpful spirit. These same qualities have been part of Cumberland General Store since the beginning. For over forty years, Cumberland General Store has provided old time merchandise many people have found useful but hard-to-get. Our slogan, "Goods in Endless Variety for Man and Beast," shows our commitment to provide quality products in the old-fashioned style. In 2005, Cumberland General Store moved to Alpharetta, Georgia due to pending road construction and new ownership. Cumberland General Store is still an American family owned and operated business with a commitment to providing you those hard-to-find back-to-basics items. We hope you'll enjoy sharing these items with friends and family.